Based On: The 1944 Broadway musical of the same name. A musical comedy about three American sailors on 24 hours of shore leave in New York City. Top musumeyaku debut for Misono Sakura. Final performance for Kio Kanade. 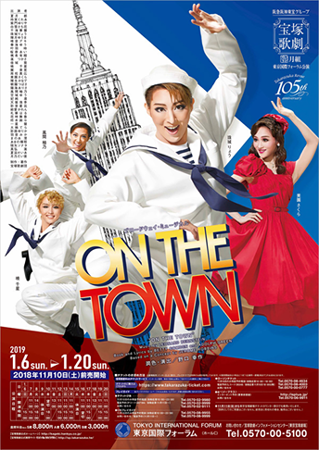 This musical will be performed again in summer 2019 at Umeda Arts Theater. Created by lokai. Last Modification: Monday 25 of February, 2019 05:09:31 PST by caithion.